We offer high quality range of designer cutlery set, steel cutlery sets and stainless steel cutlery sets, fancy cutlery, stainless steel tableware cutlery that is fabricated using excellent quality stainless steel sheets of 304 & 316 grade. 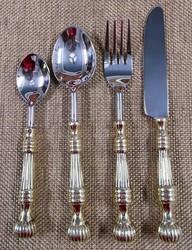 Our products comprise of Cutlery set, Serving spoon set and Gift set. 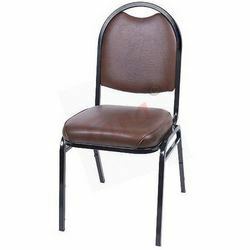 Known for exclusive designs, corrosion resistance finish & high durability standards, these find usage in establishments like Hotels, Restaurants, Food Joints, Household Dining, Canteens and others. Our wide product range comprises of stainless steel flatware, steel tableware, bar ware, stem ware, chaffing dishes and gift sets. We offer a wide range of stainless steel flatware and steel kitchen flatware, also known as cutlery sets that are manufactured from high quality stainless steel sheets. These stainless steel flatware are steel kitchen flatware are available in smooth finishing and ergonomically designed with a handle for safe and convenient grip. We also meet customized requirement as per clients requirement. 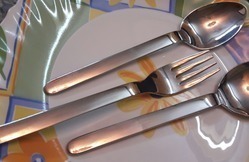 Our range of cutlery sets comprises of Olympus Flatwares, Prince Flatwares, Majestic Flatwares, Symphony Flatwares, Velvett Flatwares, President Flatwares, Beauty Flatwares, Merino Flatwares, Odion Flatwares. 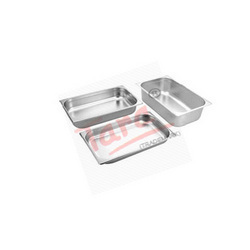 Chaffing Dishes play a vital role in serving food in various parties, hotels, restaurants and clubs. We offer a wide range of trendy looking chaffing dishes that are specially made from superior quality steel and available in various shapes and sizes. 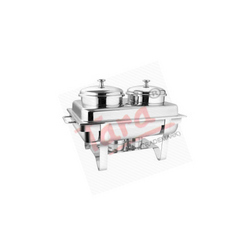 These chafing dishes can also be customized as per the clients'' requirements. 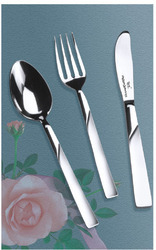 We manufacture various kitchen cutlery gift sets that are manufactured using high quality stainless steel sheets. 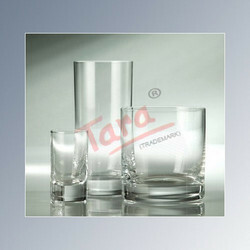 Available in various shapes, sizes and designs our range is in high demand by our clients spread across the globe. Moreover, we also offer customized solutions as per clients need. 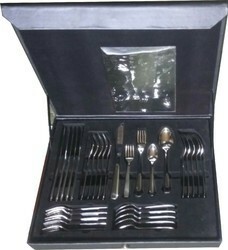 Our range of kitchen cutlery sets includes 5 piece hard board box, 5 piece velvett, 24 piece velvett, cutlery gift set, polished cutlery gift set, oxidized gift set, steel serving sets. 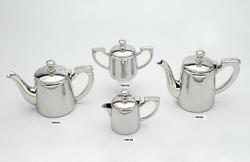 These catagory includes settl serving sets which are in designs matching to the cutlery sets. We manufacture and export a wide gamut of steel tablewares, which are aesthetically designed to accentuate the dining table. These steel tablewares are fabricated using superior quality stainless steel and are resistant to corrosion and temperature variations. 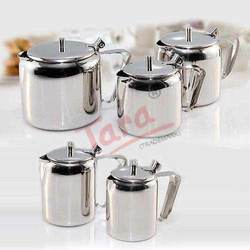 Our quality range of tableware includes steel milk pots, steel coffee pots, steel tea pots & sugar pot, water pitcher and many other items. 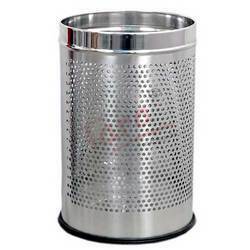 Steel bins and containers manufactured by our manufacturing unit have been used stainless steel in their manufacturing process. 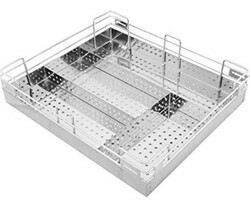 We have wide range of fruit and bread baskets in stainless steel and heavy duty polypropylene. Our company provide fruit and bread baskets in attractive shapes and size which gives elegant and modern way to serve the fruit and bread. 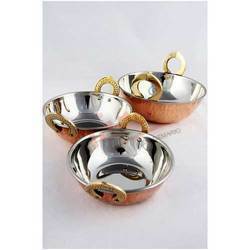 We have a range of copper wares used in serving in hotels and in hame. We have a variety of casseroles set in stainless steel as well as in plastic for you to keep the food hot for a considerable span of time. 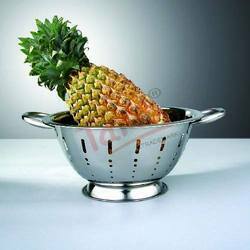 We manufacture a wide range of stainless steel kitchenware, which are widely used in cooking, serving, and storing of food. Manufactured using quality raw material, our range is resistant to rust and have an elegant look. 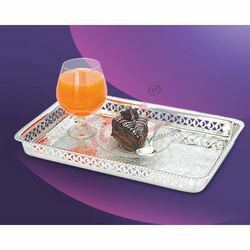 We offer Decorative Serving Trays, which are highly known for their great designs, longer service life, and splendid finish, and are mostly used for decoration purposes of a diverse range of foodstuff and are used in homes, restaurants, and in parties. 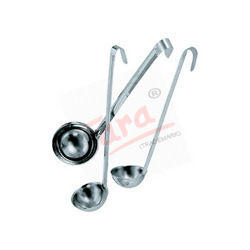 We are a leading Manufacturer of buffet ladle from Mumbai, India. 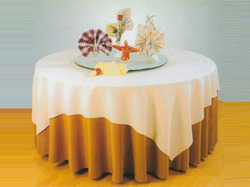 We provide best quality table clothe and table napkin for Restaurants and hotels. We also provide hotel uniforms such as Chef's,waiters,manager,darban,cashier uniforms. Our merchandise are made from best quality clothes. 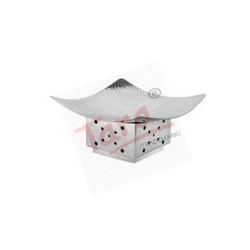 Manufacturer of a wide range of products which include oval snack warmer. 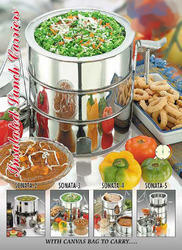 Pioneers in the industry, we offer square hammered snack warmer from India. 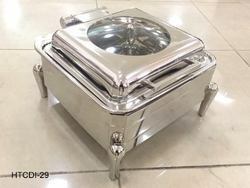 We are a leading Manufacturer of rectangular soup tureen double from Mumbai, India. 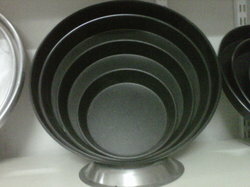 Providing you the best range of non stick pizza pans with effective & timely delivery. 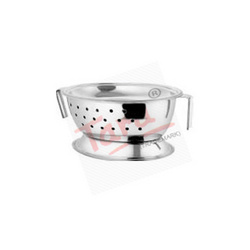 Pioneers in the industry, we offer stainless steel kitchenware from India. 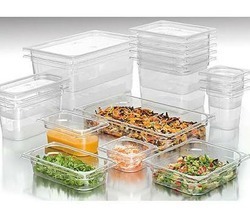 Poly carbonate gastronome pans also called as PC Gn pans are in line with Steel Gn pans but are transparent containers. 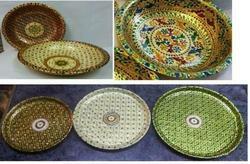 Manufacturer of a wide range of products which include meenakari plates & bowls, meenakari hot pots, minakari casseroles and steel meenakari hot pots. 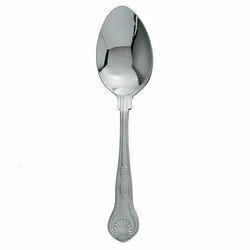 Prominent & Leading Manufacturer from Mumbai, we offer fiesta flatware. 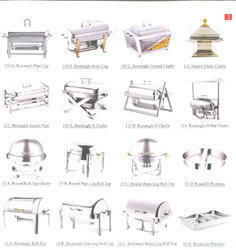 Providing you the best range of steel cutlery basket, luxury deep fryer, pizza oven, crepe maker and spiral mixer with effective & timely delivery. 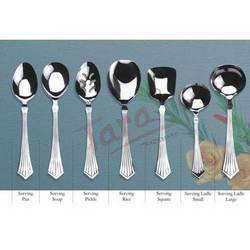 We are a leading Manufacturer of designer cutlery set, bamboo design salad spoon/fork, designer cake knife and server and copper bamboo cutlery from Mumbai, India. 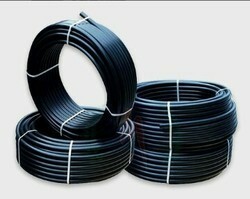 Offering you a complete choice of products which include drip irrigation pipes.